Normal service will be resumed though. Although everyone seems to agree that a chippy lunch is in order. Especially because Hannah’s not here to look disapprovingly at our poor lifestyle lunch choices. Anyway, you’re not here to hear about what’s for lunch. You’re here to see what’s new and shiny and, oh boy, do we have new and shiny! Lots of shiny… Read on! 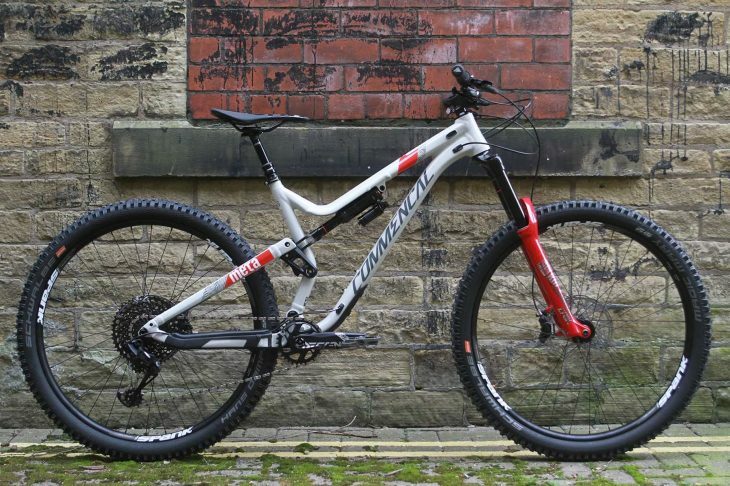 This bike is so special that Yeti importer Silverfish doesn’t even offer it. 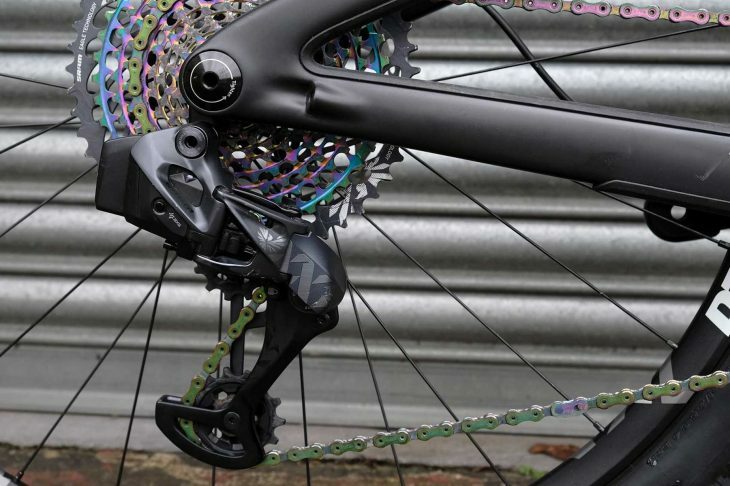 Though you can build one up with a frameset and an AXS groupset if you wanted. 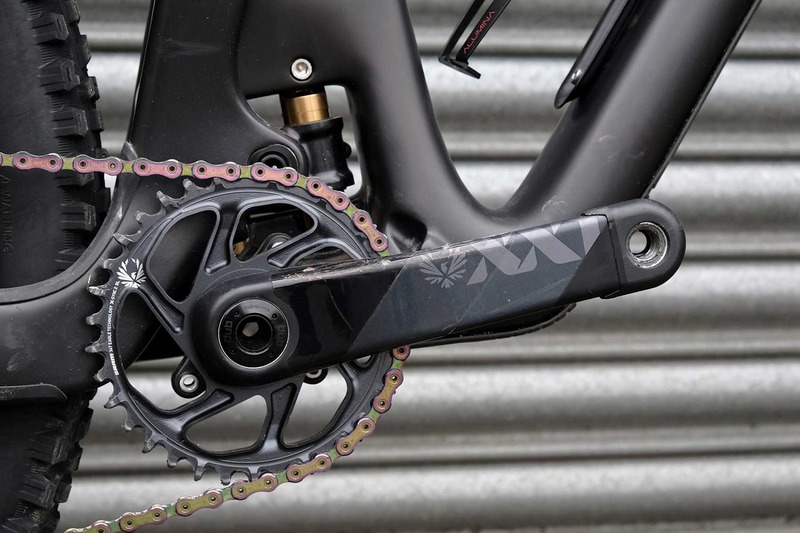 It’s actually come from SRAM for us for a couple of weeks so that we can try out the new SRAM AXS (it’s pronounced ‘Access’, geddit?) 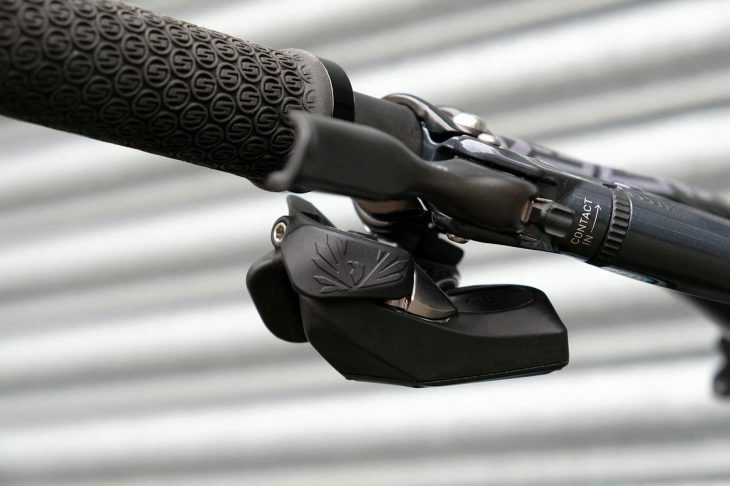 electronic, wireless shifting system and the wireless Reverb AXS dropper post. Initial car park (and trail) tests have been positive, and we’re going to give it a couple of weeks of thrashing. Wireless shifting. It’s still crazy to look at. There are literally NO WIRES! The right hand lever has two functions: Up and down the gears, or reprogram it to do the dropper. It’s so beautiful… Made with rainbow unicorn tears. The battery is shared between the mech and the dropper, so you can still have gears if the mech gets low on power. RH shifter from under the bars shows the finger ‘trigger’ too. At the moment, you can only buy the whole groupset. That’ll change eventually. Pricing for and operation of the AXS Eagle group was covered in our first look feature here, but here’s a reminder. We’ll let you know how we get on. In the meantime, what do you think? 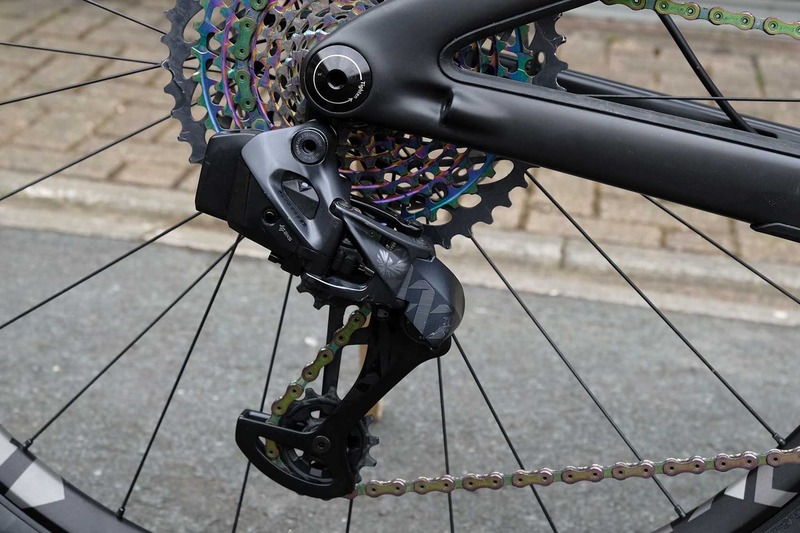 Technology gone mad (bring back friction shifters!)? Or about time too? 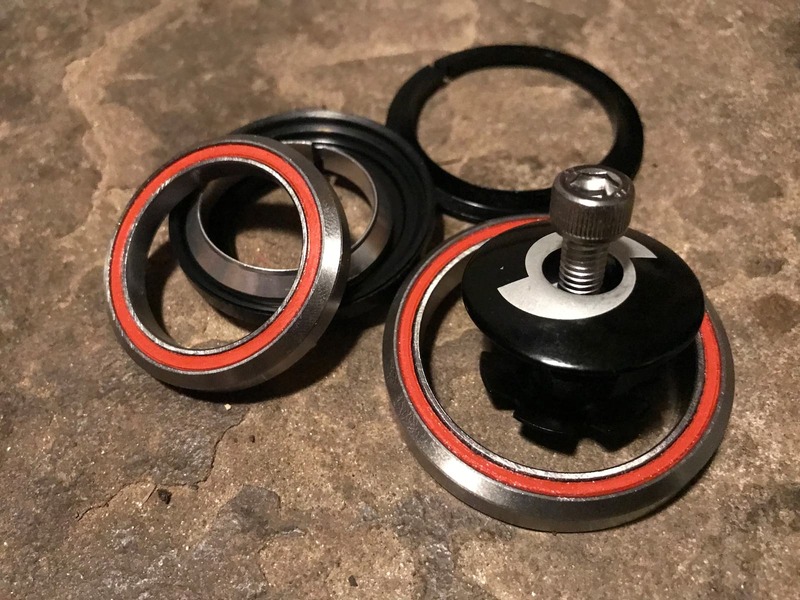 We all love a fresh set of bearings. A sealed, integrated headset for tapered headtubes, or in this case specifically for the Sonder Transmitter that’s half built in Amanda’s front room. 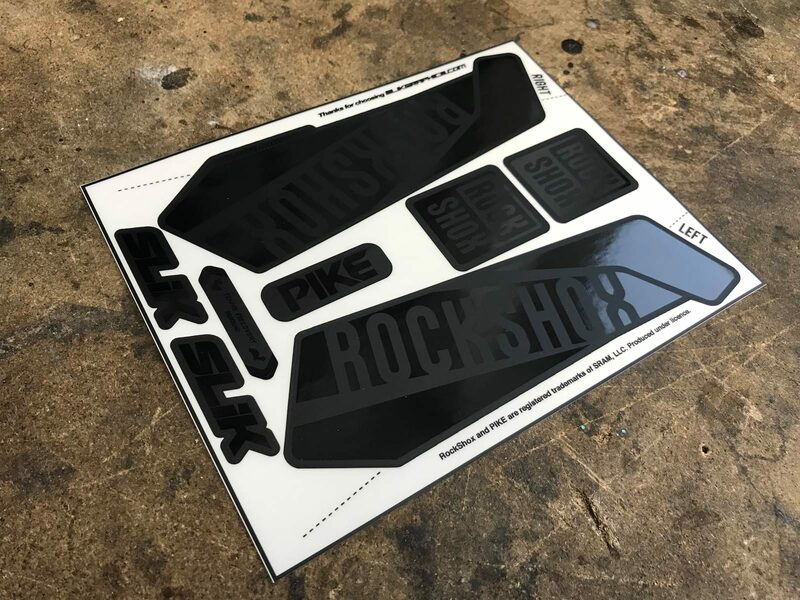 Printed on pro-grade vinyl and laminated for durability, these stickers are great for tidying up a four year old set of forks that are about to be fitted to a nice shiny new Sonder Transmitter… in Amanda’s front room. How else do you think we get all of this work done? META AM 29 Race SRAM edition. Oooof! 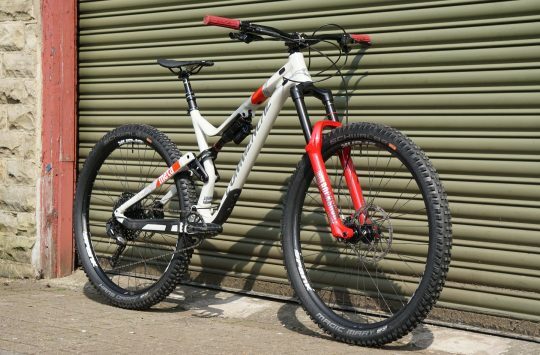 This grey, black and red beastie just turned up for Andi to review and he’s already bedded it in and loaded it up to ride at the Tweedlove Vallelujah event this weekend. If you see him whizzing by, give him a heckle. He loves that stuff. The bike? It’s got a 170mm Lyrik RC2 up front and a Super Deluxe RCT out back giving 160mm of travel with 29in wheels. 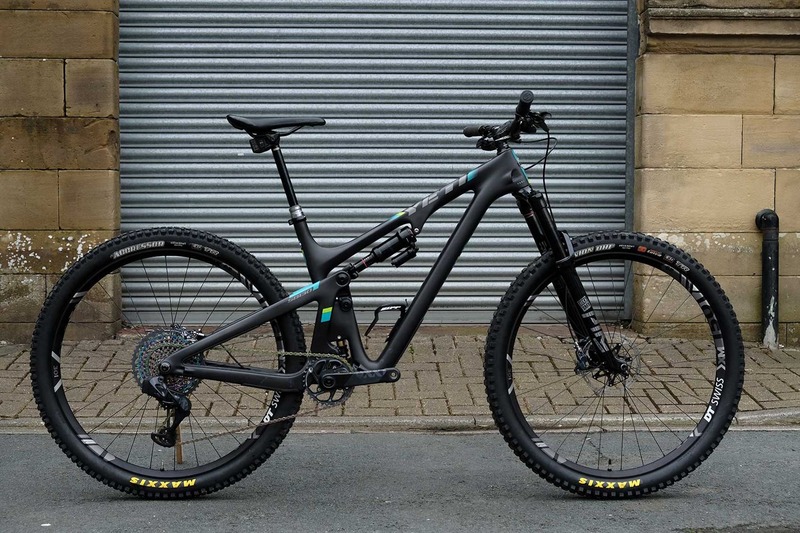 The rest of the bike is suitably SRAM equipped for all of your enduro needs. Mmm… Wavy. The model could have put a bit more effort in to the Blue Steel though. 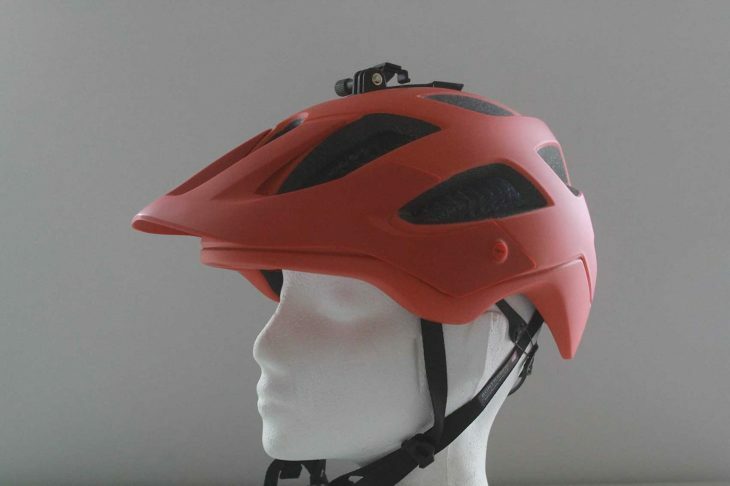 As launched with much fuss this week, this Blaze helmet (in ‘Roarange’ colour fans) features the new squashy and rotatey Wavecell technology from Trek. The Blaze helmet also includes a neat full shell design, a removable magnetic GoPro mount and a BOA dial to keep everything snug. 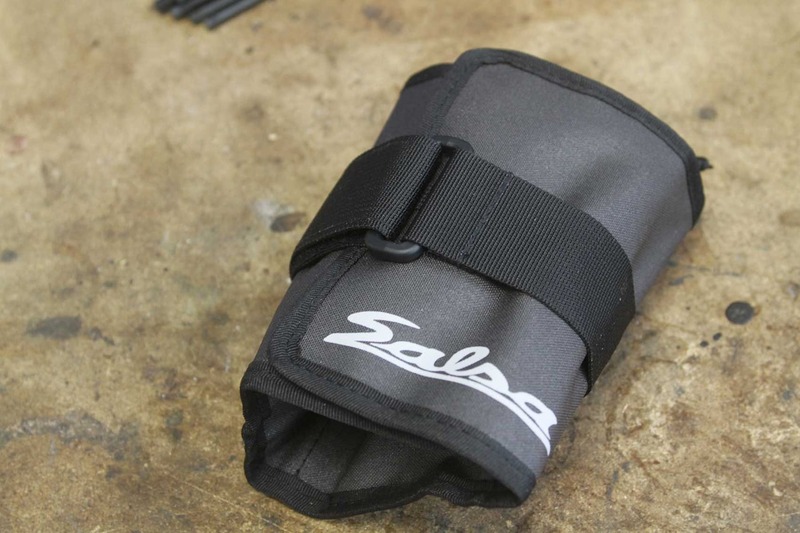 The Salsa Anything Cradle is designed to be a superior bikepacking solution to the dry bag and strap or handlebar rolls that folks have been using for years. 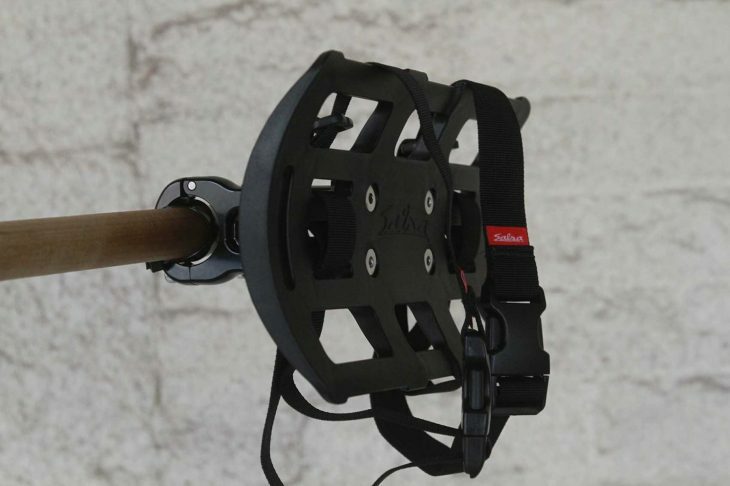 The Anything Cradle holds your gear away from your bars using a couple of stand-off bar clamps. This creates room for cables and housing without fear of kinking, stressing, or otherwise damaging them. The cage is lightweight and tough nylon while the arms are forged aluminium. It’s compatible with 31.8mm bars and can hold up to 8lbs/3.7kg in weight. The straps are 25mm nylon webbing and can be deployed elsewhere on the bike too. Roll your tools up in this! The EXP Rescue Roll is an elastic strapped tool roll for keeping your tools in one place without them punching holes in things like your tubes or tins of mandarin segements. 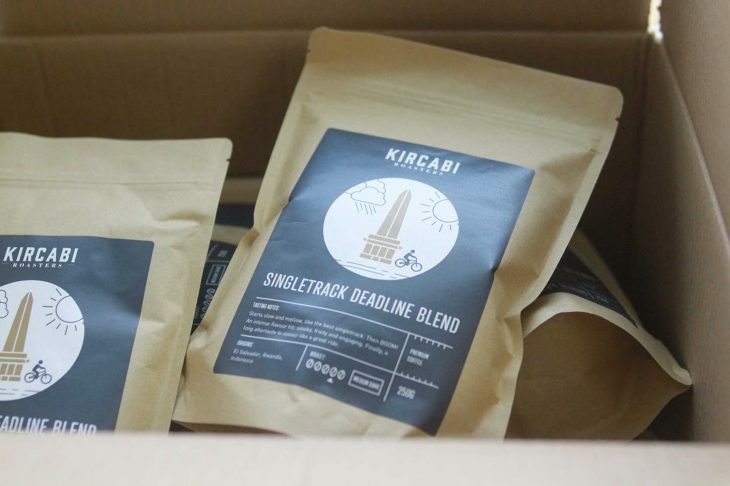 The elastic strap helps hold the bundle securely while the heavy-duty strap allows you to attach it to your seatpost, saddle rails, or onto your frame. Or simply use the Rescue Roll as a consistent tool holder and move it from bike to hydration pack or backpack as needed. It features three individual pockets, with a zipper pocket for valuables and uses waterproof fabrics and ‘water-resistant construction’ in that the material is waterproof, but the seams aren’t taped. Holds seatposts fast, has rack mounting points. Are you sad that your fancy new frame didn’t come with seatstay rack mounts? Not a problem with the Salsa Rack Lock Seat Clamp. 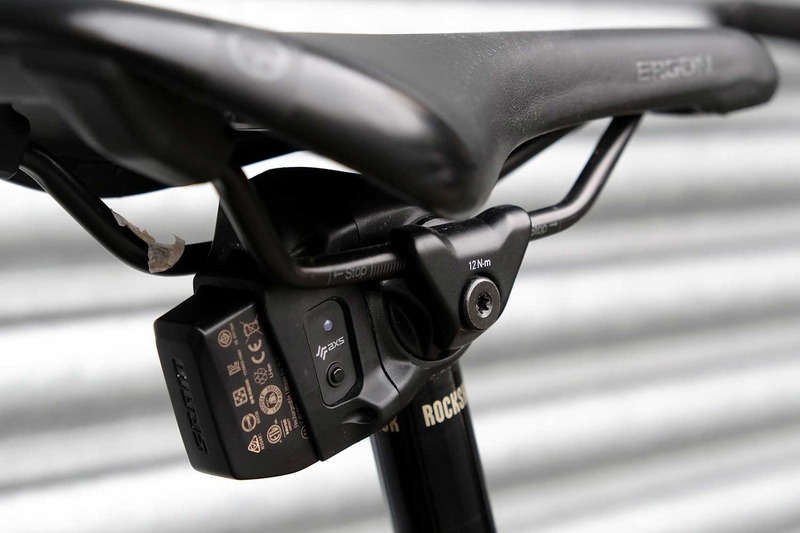 It features one of Salsa’s legendary seat clamps (how many other companies have a seat clamp design that hasn’t needed changing in 25 years?) with an extension out back for fitting a rack to. These are 34mm wide rack mounts threaded for M5 bolts. 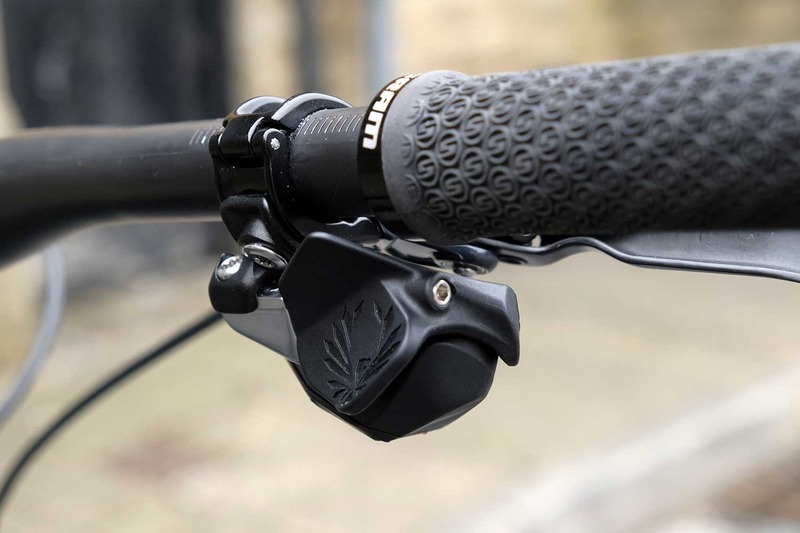 Like everything from The Bikemonger, there’s a story behind these fantastic, cut to length grips. 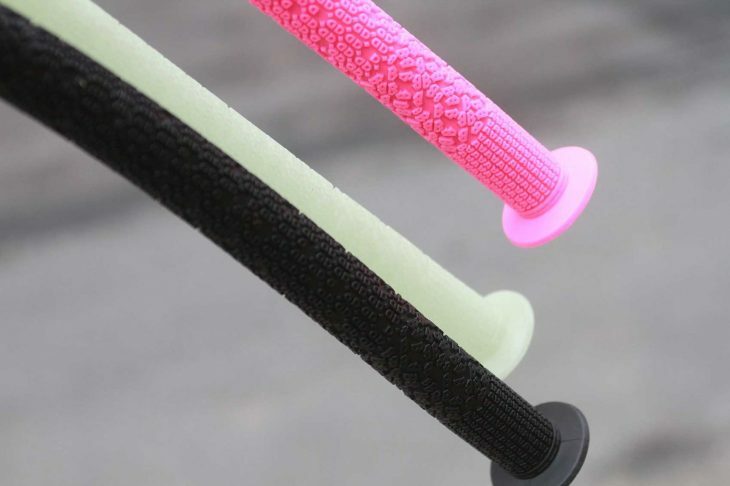 “I got a deal on them a few years ago, and got them at a great price, but accidentally bought 1,842 grips. Yes, almost two bloody thousand grips. But they are so much more than just a grip. They are great fun, they are long and floppy. 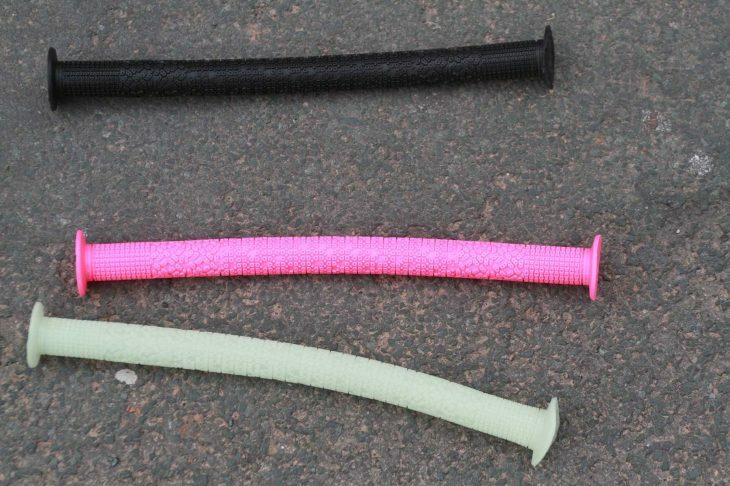 The pink one is great. However the glow in the dark one is great for surprising people when camping at races. They can be fitted onto the end of a wine bottle for a unique big pink and floppy drinking experience. Almost every wheel barrow and broom handle in Wantage has these fitted. The tunes that have powered our week here in the office. 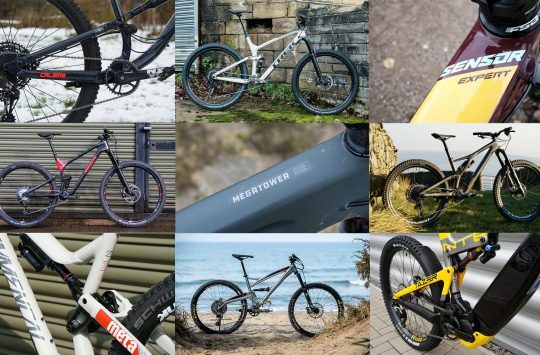 Each track picked by a Singletrack staffer. 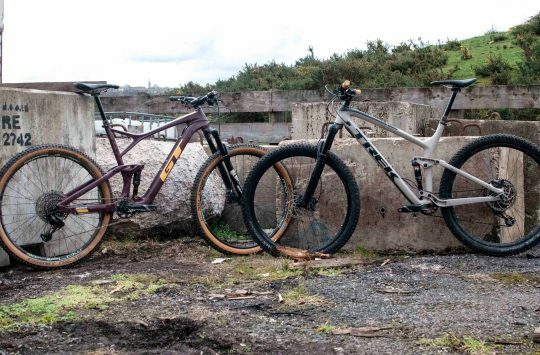 Our first reader submitted addition to our Singletrack MTB Chain playlist is ‘Sometimes’ by Sound of Guns taken from Martyn Ashton’s film ‘Road Bike Party’. It was suggested by Instagram user roblockhartuk. A Singletrack t-shirt will soon be heading his way. If you want to win a t-shirt next week then all you have to do is suggest a song for our ongoing playlist of MTB related tunes. 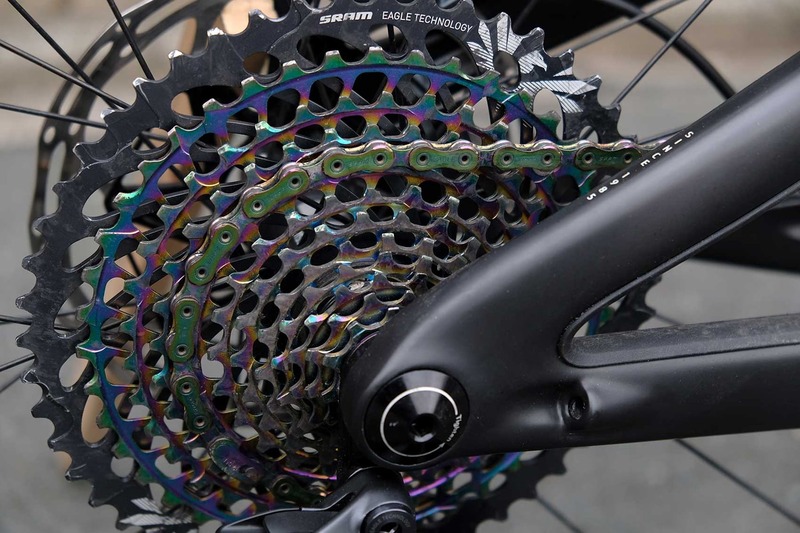 use the hashtag #themtbchain and tell us what the link is to MTB. Is that a Pike Ultimate ? You’re right about wireless shifting being really odd to look at! 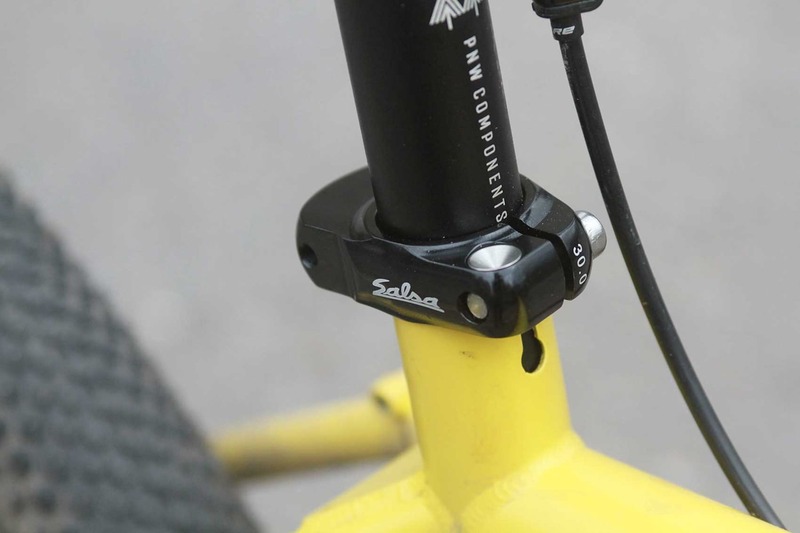 I think there’s a typo on the Salsa seat clamp with rack mount eyes, it says £32, when i presume you meant £3.20 which is about half the price everyone else is selling them for, so really very good value for money. Must just be my eye sight. Is it a case of ‘just because you *can*, it doesn’t mean you *should*’ ? Some sort of dynamo to help charge the battery wouldn’t go amiss. Particularly on an MTB as there is less weight weeniness and you’re carrying a battery anyway. Disappointingly, “Kochwuerste” does not appear to translate into ‘nobsausage’.